Last year saw the inaugural Jimmy Kennedy Song Contest in Ardara. Jimmy Kennedy, who wrote classics like “South of the Border”and “Red Sails in the Sunset”, had ancestry in Ardara hence the idea for this Song Contest. Last year Bri Carr won the Contest with her beautiful original “Yesterday”. 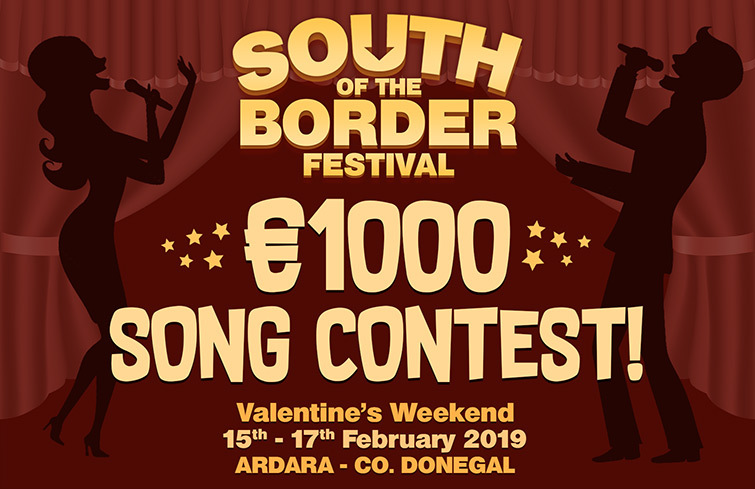 Entries are now being taken for this year’s Contest which takes place from Friday 15th to Sunday 17th February 2019, as part of the “South of the Border” Festival. Entries will be taken up to and including the 9th February 2019. Tune in to Monday Night Sessions on Highland Radio 11th February to hear Bri Carr’s winning song from 2018 ‘Yesterday’ and Stephen McCahill announcing this year’s finalists. Art Classes take place in the Heritage Centre upstairs every Friday night from 7pm to 9pm.